These are some photos of the area between the Reichstag and the museum island. 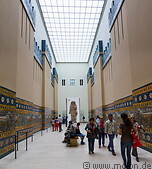 The Pergamon museum is perhaps the most interesting museum in Berlin. 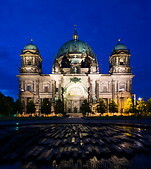 It is located on the museum island and was set up between 1910 and 1930. 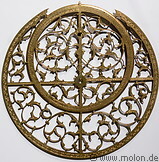 It contains a number of collections of ancient civilisations from the Middle East and Iran. 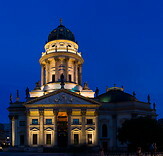 The Gendarmenmarkt square was initially created at the end of the 17th century and then reconstructed in 1773. It contains the Konzerthaus opera house and two churches, the French cathedral (Französischer Dom) erected in 1705 and the German cathedral (Deutscher Dom) which was completed in 1708. The Reichstag building was completed in 1894 and housed the German diet until 1933. It was severely damaged in World War II and reconstructed in 1999 under the leadership of the architect Norman Foster. Currently it's the seat of the German parliament (the Bundestag). 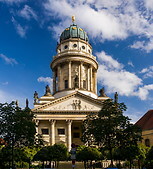 The Berlin cathedral (Berliner Dom in German; long name: Evangelical Supreme Parish and Collegiate Church) is located on the museum island and was completed in 1905.